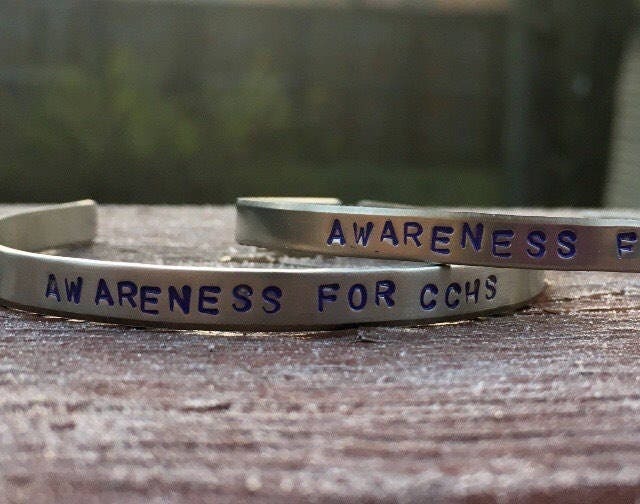 These bangle bracelets come hand stamped with the words "AWARENESS FOR CCHS", The letters dyed purple to represent Lauren's favorite color. Each bangle stands at 6 inches long but is available in larger sizes if needed. If so, please send me a message. These bangles are made using Argentinian silver & are also available in bronze, brass and stainless steel. I do have a malleable metal that makes these bangles Also available to children. Available for free with your order upon request. ***I Suggest the Argentinian Silver. While it is a dull silver, it is sturdier than the stainless steel & does not scratch. For the letters- If you would like a different color (or no color at all) for your letters, please message me. Today,August 9, 2017, marks the 2 year anniversary of the passing of a friend, sister, daughter & a mother, Lauren Savino. Born with CCHS (congenital central hypoventilation syndrome), Lauren, like most who suffer from this syndrome, cannot breathe on their own as they sleep & therefore, must be hooked up to a machine. As of 2008, only 1000 cases were known. As a friend, discussions were never had about this. She was very private concerning the matter, most likely due to a desire to be like everyone else & I never wanted to ask. While I knew the severity of it, I don't think I quite grasped a belief that this could take her life. The information is out there but the awareness isn't. 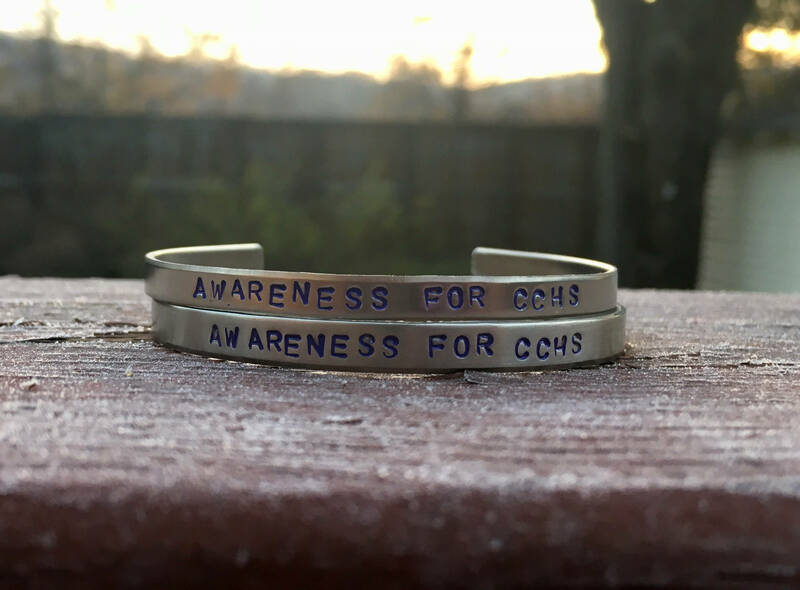 The idea in purchasing a bracelet is to help share the existence of this. 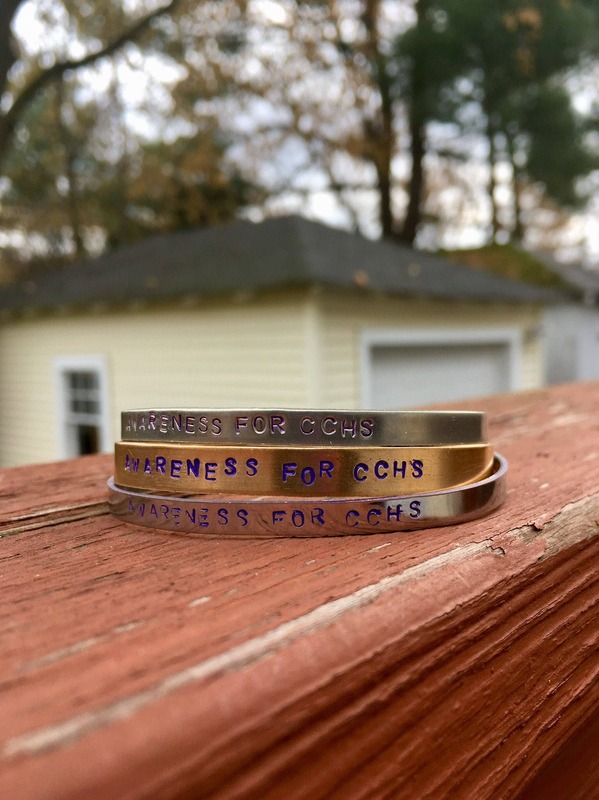 In wearing these, you might catch the eye of a nosy neighbor on line at the store who taps you on the shoulder to ask what exactly CCHS stands for. 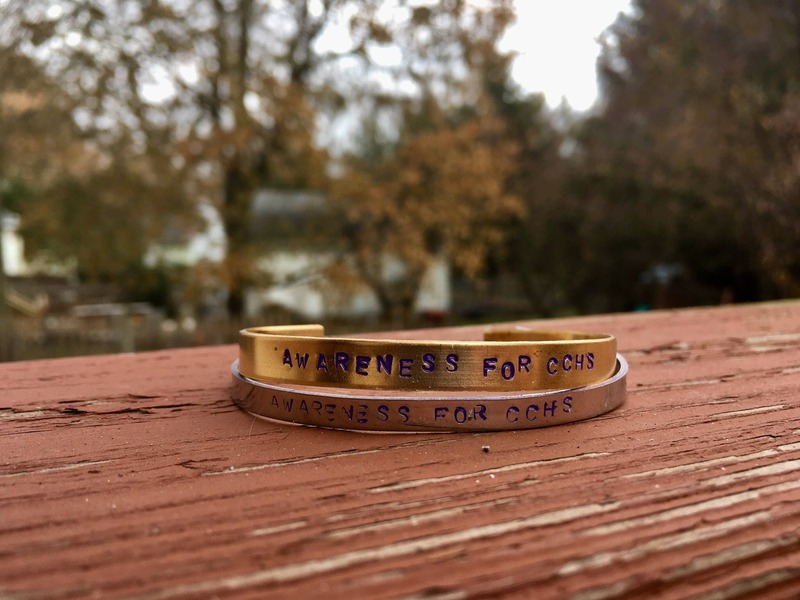 Not only will you help spread the word, but part of the proceeds will go to caring for the two daughters, McKenna & Elena, that Lauren left behind. 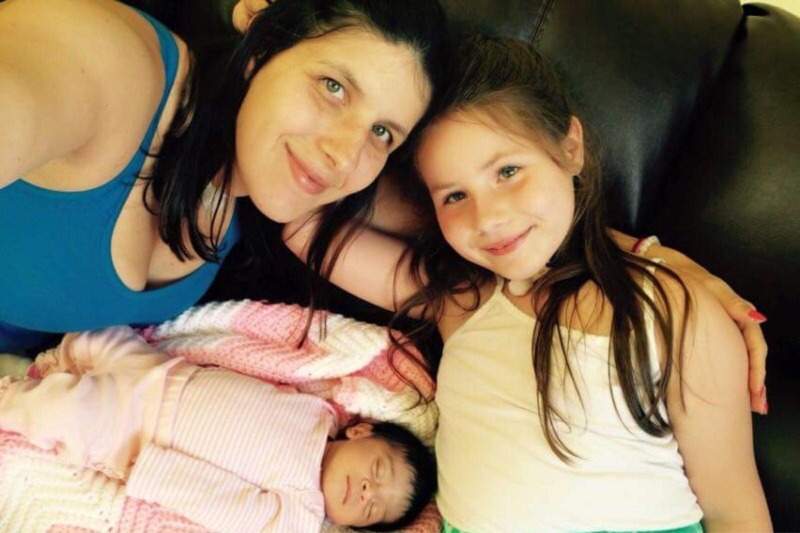 While these girls each have a piece of Lauren, leaving family & friends with something to remember her by, for her oldest daughter McKenna this includes the syndrome as well. 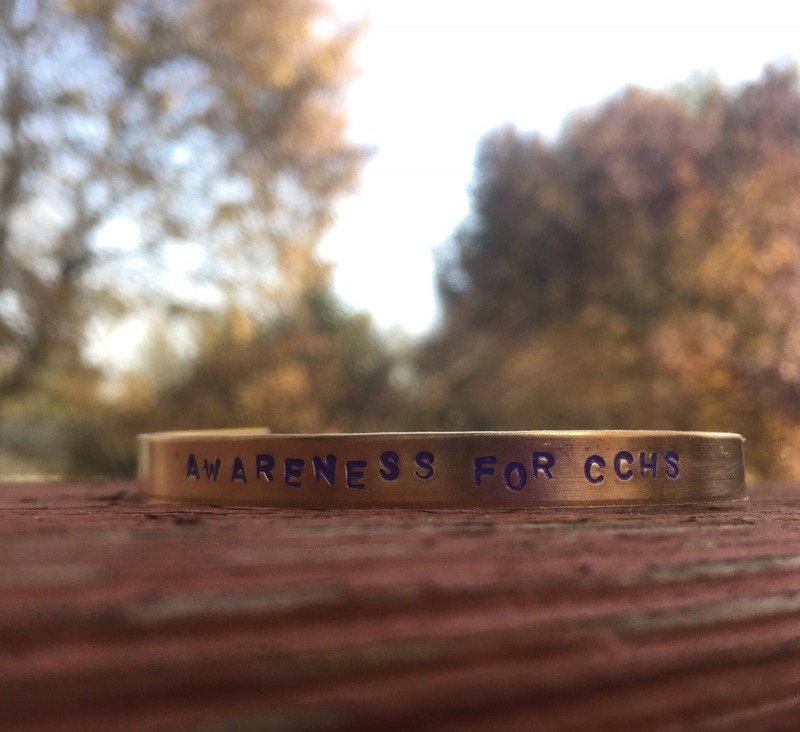 A percentage of the profits Will be donated to the CCHS network in Lauren's name. 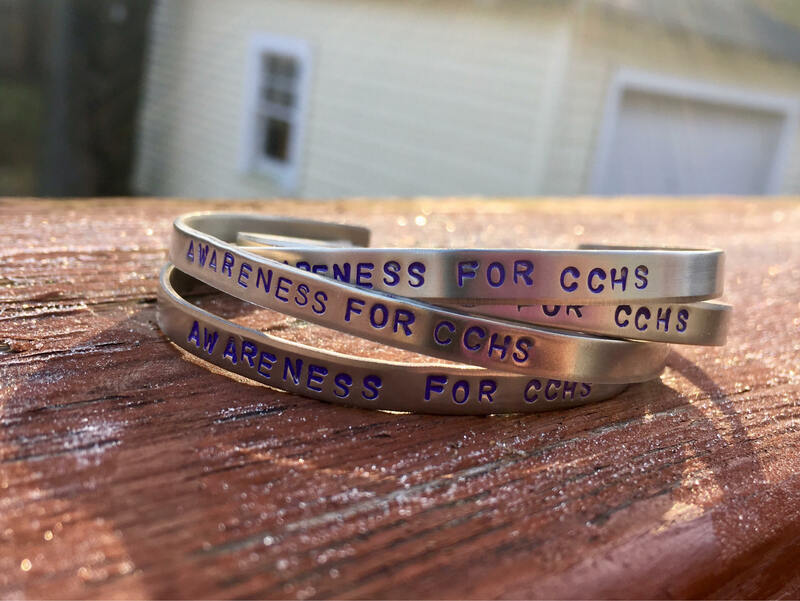 By purchasing a bracelet you're making a donation to the network towards the study of this disease in hopes to prevent a similar scenario from happening to her daughter. The rest will be put in a special fund for her daughters whom her family is now caring for, so that these girls who were unable to experience a full life with there mother, can be sure to have one with all the necessary provisions.